Here is the background to my own story how I healed/gained remission (whatever you want to call it) from endometriosis, with a brief insight of how to decide about your own method for natural, gentle and effective healing from this disease. The content and final outcome of my own story is a stark contrast from that of so many women around the world who suffer from this devastating disease. The content differs because I did not go through the rounds of drugs, tests, operations, false hopes, mis-guided information, more drugs, more pain, worsening symptoms ….. need I go on; because so many of you know and experience this scenario – year in year out. It is utterly heart breaking. The outcome of my story was based totally upon my absolute focus and conviction to get well, to get rid of Endometriosis, to banish this disease from my life. And I did. I took the slow, steady, gentle, and natural way using natural therapies and healthy diet along with LOTS of positive thinking. 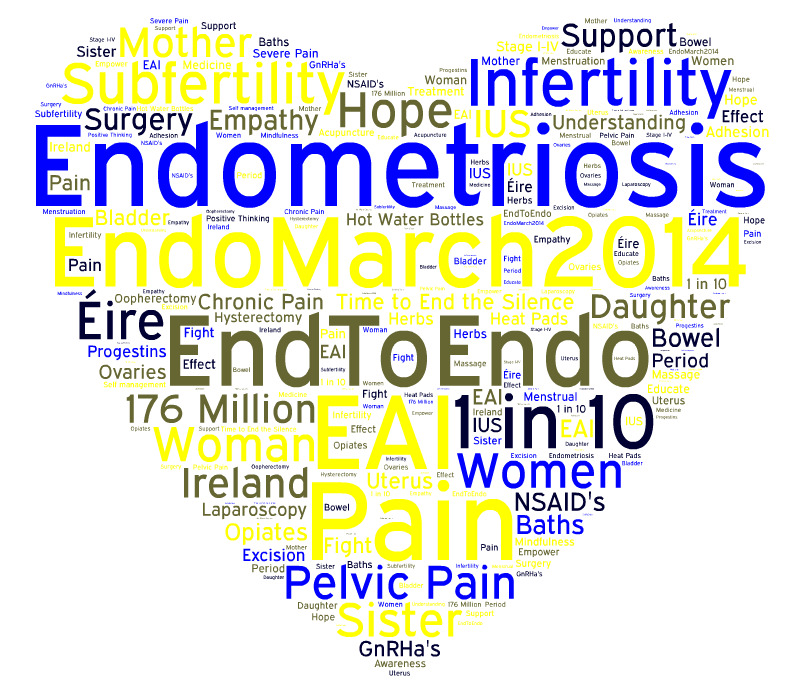 And the final outcome …… I did beat Endometriosis, and it never returned. It is nearly 10 years ago that I was given proof that I had beaten endometriosis, by a visual inspection of my internal organs, with a laparoscopy, and the gyne said there was NO active endometriosis and that it had all dried up. The reason for my second laparoscopy was based purely on a very strong intuitive feeling of the need to be checked internally. I felt something was amiss but I had no idea what, and I had no symptoms. In fact I was fitter than I had been in many years. During the operation one cyst was found on my ovary and treated, but like I said, all the other cysts and signs of Endometriosis had simply dried up. My homoeopath told me that she felt this last cyst was the last physical evidence, the final manifestation of the disease. It was as though all the toxic debris and residue of endometriosis had been moped up into one place, ready for the final treatment. My intuition to get checked internally despite feeling really fit and well was so strong and would not go away. I tried to ignore it, knowing how fit I felt, but in the end my intuition was screaming at me. I had worked with my homoeopath for 4 years and together we went through ‘layers’ of healing, finally getting to the root causes of my ill health and Endometriosis. The disease was finally laid to rest with the support of homoeopathic remedies and many steps I took to help myself using diet and various supplements. The final cyst on my ovary was the last ‘process’ in my healing, strange as that may sound. This cyst made my intuition kick in, which enabled me to get this last physical evidence cleared up once and for all. Therefore, it wasn’t simply a case of ‘feeling better’ because my symptoms had subsided, and mine was not a case of simply going into remission, which is the term the medical profession would prefer to call it. I know at a gut level that I was healed. Totally healed. When I had my first diagnostic laparoscopy, my gyne told me that I had the worst case of Endometriosis she had ever seen – so it is not as though my healing was easier or simpler or quicker because I had a mild case of Endometriosis. No, quite the opposite. I had cysts all over my abdominal cavity and was advised to a have a total hysterectomy. The final piece of the puzzle was my use of diet and nutrition. The diet for endometriosis aims to reduce inflammation, reduce oestrogen, reduce pain, and boost the immune system. Actually, 80% of our immunity occurs in the intestinal tract. Interesting.